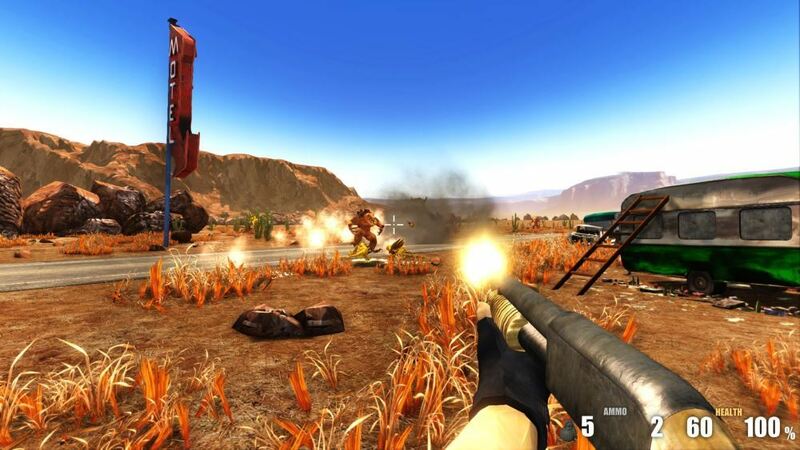 Jump into the action and battle your way through hordes of aliens from canyon deserts to tropical islands ! Complete the story-driven levels by collecting gas cans and defeating boss aliens to unlock upgraded weapons and perks to achieve the maximum fire-power ! Quite a long time after the game was launched, a small update has been released with some new features and change ! 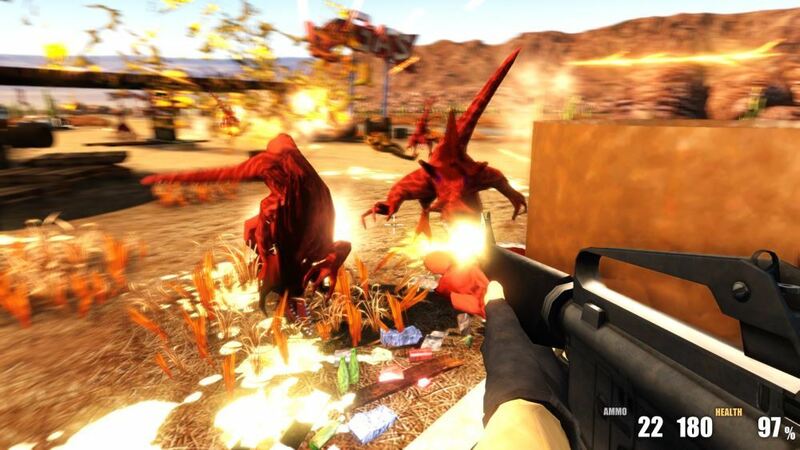 An update has been released for Action Alien almost 3 years after its release. This update consists in improvements, tweaks for the gameplay and new features being added to the game. 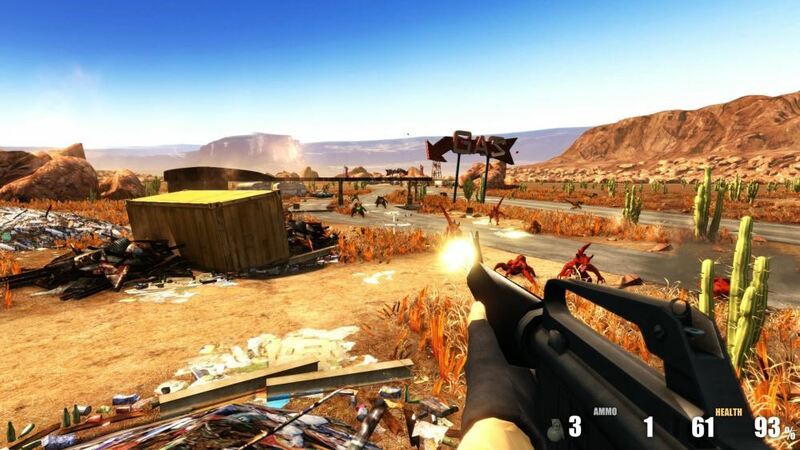 The main feature added is the cinematic made for each map which improves the immersion and narrative dimension of the game by giving overviews of the incoming action with short introduction sequences. A lot of optimisation was also done for the aliens and other 3D models to improve the in-game frame-rate, especially for the tropical map where the tropical foliage and the bungalows had their geometry optimized with more level of details. About the changes made for the gameplay, theses have in mind to make the game easier and more intuitive to play. 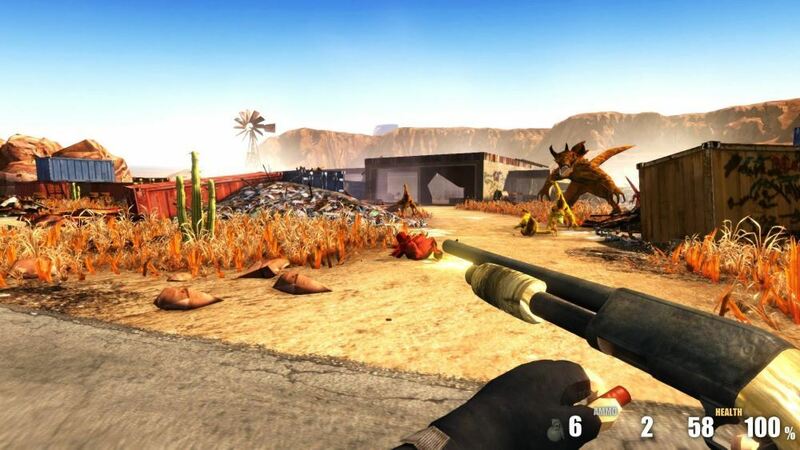 Things such as cross-hair being added to the pistol and the sten to give a better aiming, grenades faster to throw, there is now also unlimited sprint to make it possible to flee the aliens or to collect items faster. The hunting rifle is still firing at the same rate but is now inflicting much more damages to the aliens. Grabbing heavy items won't slow you down as much as before to remove the annoying feeling of being very slow when collecting them. A fix has also been done for the arena maps for an issue where too many aliens would spawn at the end, as this was often creating lags spikes and make impossible to play for longer. Additionally, support for Mac OS X may be available soon !